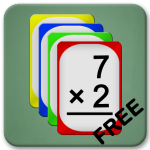 Math Flash Cards – Children can build and improve essential math skills in: addition, subtraction, multiplication and division. 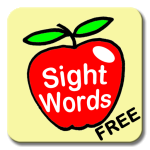 Sight Words – “Sight words” are words that can not be sounded out or learned through the use of pictures and have to be learned by sight. The original Dolch Word list (named after Edward Dolch, PhD) contains 220 words that have to be easily recognizing to achieve fluency in the English language. 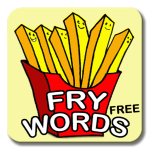 Fry Words – Expanding on the Dolch sight words, Dr. Edward B. Fry in 1996 created a new list of high frequency words (“Fry Words”). The Fry instant words are the most common words used in English ranked by order of frequency in a flash card setting. Animal Sounds – Animal sounds for Fun and Learning!